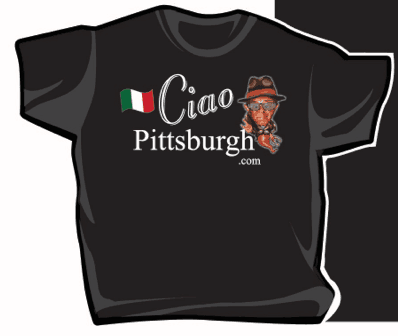 These shirts make great gifts for any Italian in your life. Our shirts are unique because the logo and name are trademarked so you will not find the same design anywhere else. Price is $25 per shirt. 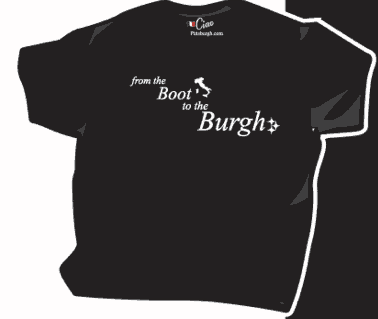 For a multiple order discount, please email Jack at jack@ciaopittsburgh.com. Please note that shirts are printed on demand and can take between 2-4 weeks to receive your order!